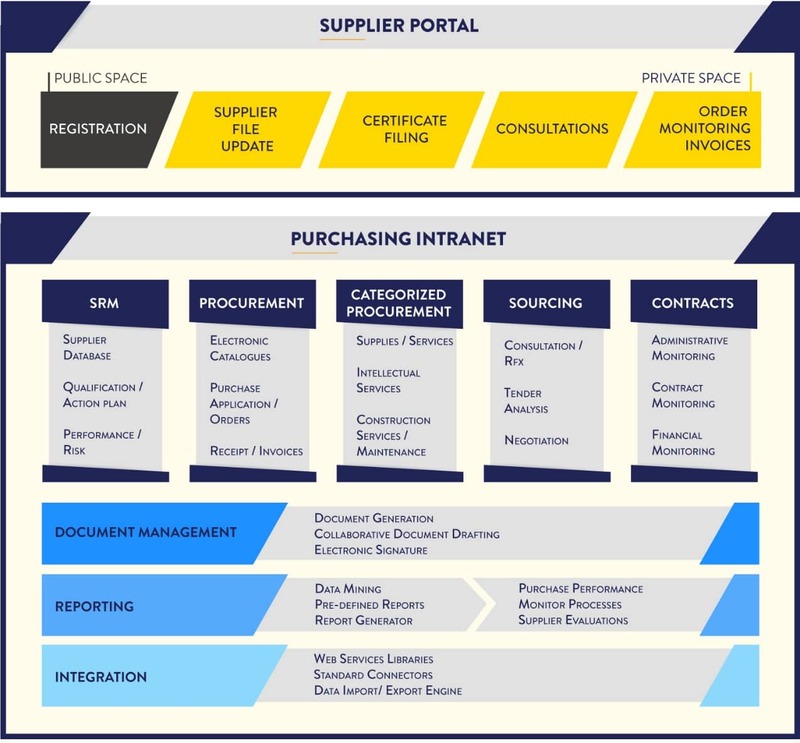 Specifically designed to respond to new expectations in e-procurement. : to better manage the purchasing process, saving time and money. Our solution is simple and intuitive to use, quick to implement and offers frequent, regular and smooth updates… our dedication to continuous innovation provides you with immediate and sustained purchasing success. All inclusive, a CLEAR business model. Do you want to optimize all of your procurement and be able to manage each type of purchase appropriately? 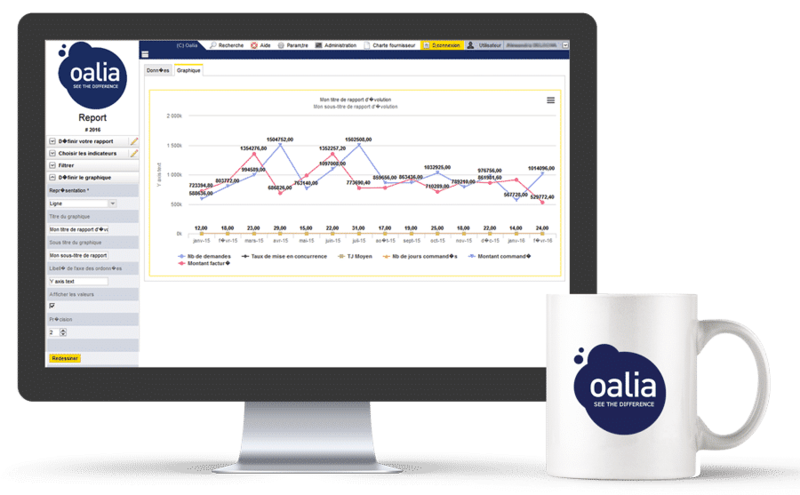 Oalia Excellence enables companies to manage the whole range of non-production purchasing, helping them to streamline the purchasing process and maximize savings. Oalia Excellence manages all indirect purchasing, offering end-to-end coverage of the entire purchasing process: from the expression of needs to the financial and operational execution. The analytic module allows the setting of performance indicators, the generation and sharing of reports. Tools for purchase steering and costs optimization opportunities. Careful attention was paid to the design of the suppliers’ base module which aggregates useful data on suppliers. This information is gathered from various sources: application processes, external sources or database updating by the suppliers. All the modules (see functional model below) complement each other but can also be implemented gradually. Extra special attention is paid to the overall user experience: the design of the interface to make the application user-friendly, intuitive and easy-to-use which also facilitate implementation and change management. With Oalia Excellence, your digital revolution has arrived! Oalia Excellence has been designed with your purchasing in mind allowing you to manage your business spend in a flexible and innovative manner. Project implementation is faster, simpler and more interactive and iterative with Oalia Excellence, making it easy to quickly visualize the target solution. Within a short space of time of starting a project, Oalia and its integrator partners are able to present the first results – and be able to adapt and adjust them according to client needs. Bordeaux Métropole, AFPA – Formation Professionnelle. Oalia excellence, Oalia Marchés publics, Digital procurement solutions for top ranking organisations in the private and public sectors.